Citrus, Floral, Green Created in 1986, Sung for women is a refreshing, floral fragrance. It's fragrant nature explores essences of lemon, ylang-ylang and iris. 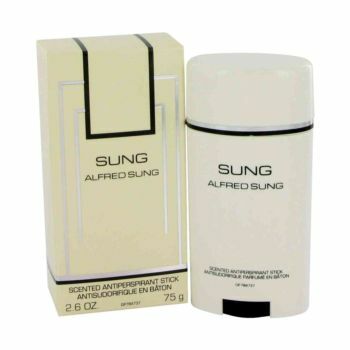 Blended with notes of vanilla, sandalwood and vetiver, Alfred Sung is recommended as an evening fragrance. Notify me when "Alfred Sung Antiperspirant Deodorant Stick 2.6 oz / 75g" is re-stocked.